Of course, this could just be a peeping Tommette’s ruse to steal glances at her hunky neighbor, but even if it is, he doesn’t seem to mind! Nothing can get in the way of true love… except potted plants. 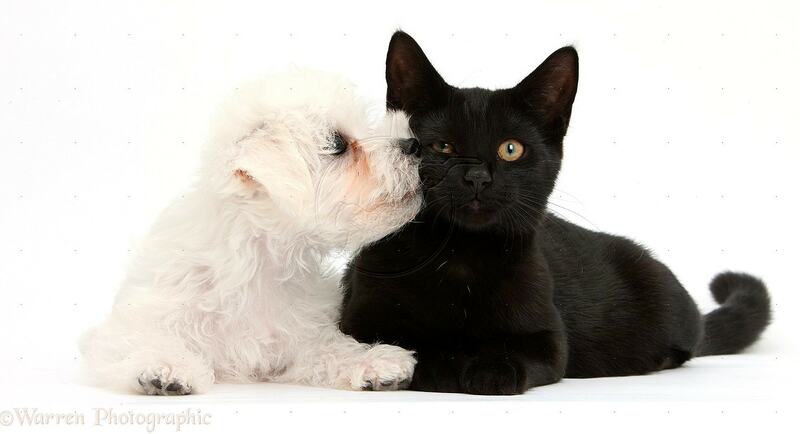 Every day a dog would look at a neighboring cat through the windows, but one day the cat owner put some plants in front of the window, and the dog could no longer see his beloved. 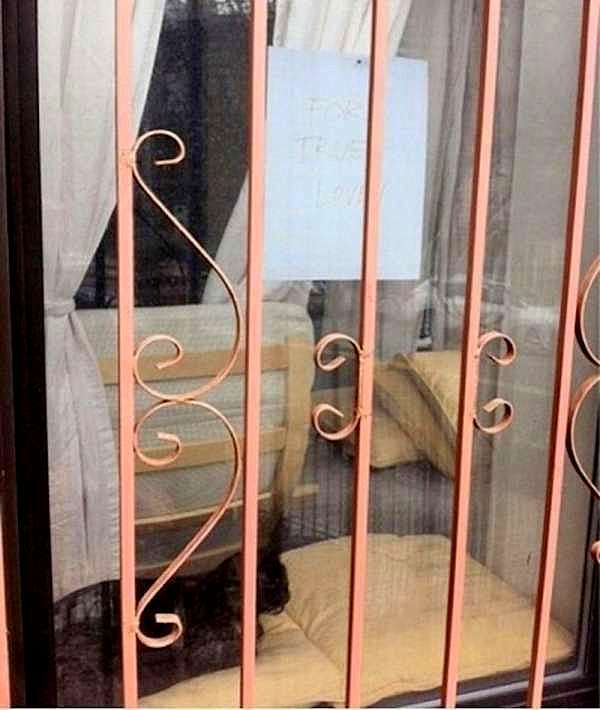 The dog-owning woman wrote her neighbor a letter, explaining things, and he had the best response. 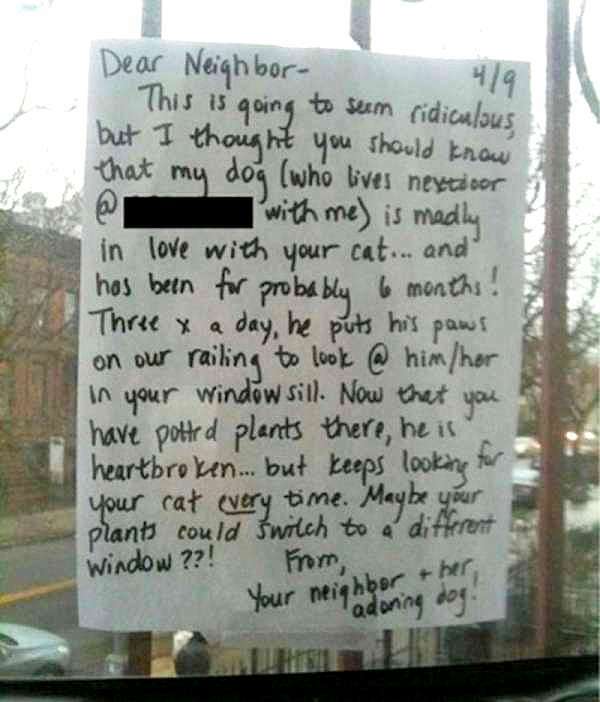 It’s very hard to read, but the response says “For true love,” and the plants are clearly no longer blocking the view of this kitty. Jessica, Michelle, and Dave! It’s Rosie and Chewie!!!! Really it is very interesting relationship and nice story.